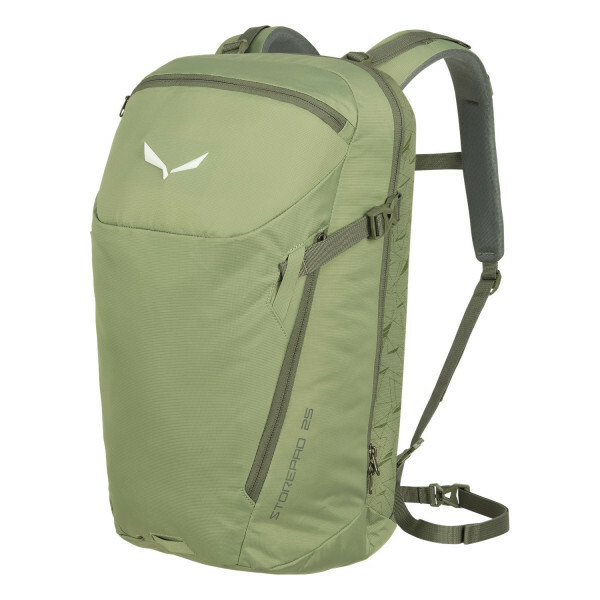 A versatile 25-litre pack for hiking and travelling. The Storepad BP is a versatile pack for hiking and travelling. The lightweight foam shoulder straps and ergonomic back panel of its Contact-Fit Lite carrying system mould to your body for a precise fit, effective load distribution and good breathability. The back of the pack has a bike light attachment point and helmet fixation. Inside there is a padded laptop compartment and office organiser. The Storepad BP is also designed to fit securely to your trolley bag.